It all adds up, dear readers, and Andie is having a bad day. She says, “I’m having a fine day, I’m just very busy.” We in the office cannot accept this though. If you’re not chatting with the rest of us, you must be grumpy. “If you need to talk, I’m here,” Jason told her, offering a carrot (food usually cheers her up). 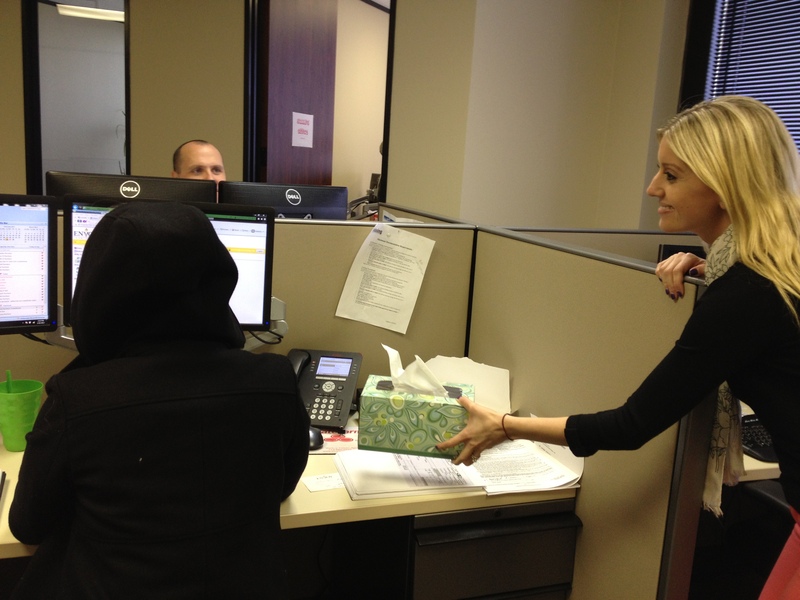 Hayley signed her up for a daily affirmation blog (and brought her tissues). “I’m not having a bad day! 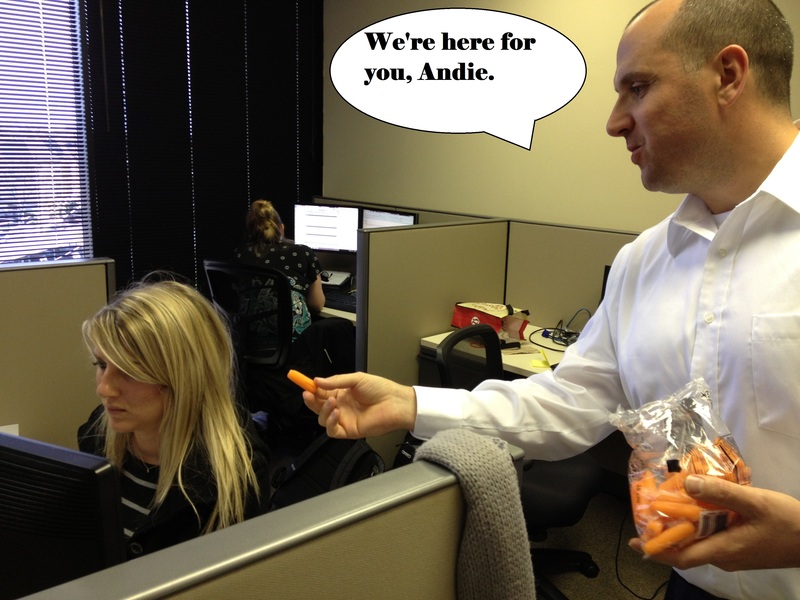 Why does everybody think I’m having a bad day?” Andie replied. Oh, I don’t know. Maybe the, uh, hood you’re wearing. I know I always ask you all to send me flowers, but Andie needs some flowers today, people. “I’m not having a bad day!” she yells over my shoulder. Mm hmm. Poor thing. While Nikki wraps that up, if you would like to brighten the hipster’s day, please fill out a loan application on the right and type an inspirational quote in the referred by section (and turn in all your documents in a timely fashion so we can stop taking everything out on poor Andie). The sun will come out tomorrow, Andie!!! You know what might cheer up Andie? Another edition of “match maker JTA”!!!! It would totally draw the readers.